In this week’s blog I am going to discuss the subject of pain. Nobody is immune to pain, we all suffer or have suffered with varying degrees of it. In recent years we have and continue to see the growth and research in the field of pain science and neuroplasticity. Neuroscience has researched thoroughly and it is widely considered in the area of pain science that pain is created by the brain and projected on to the body. The pain system is spread throughout the brain and spinal cord. The brain always controls the pain signals we feel. If the brain allows the message to enter, a gate will open to allow the increase feeling and sensation of pain by allowing neurons to turn on and transmit their signals. But the brain can also decide to close the gate and block the pain by prescribing a natural pain relief from its own inbuilt drug cupboard! One well known natural pain killer are endorphins. Have you heard of scenarios whereby a person has endured an injury and been unaware until after the dramatic situation has settled down? Many war stories involve a large percentage of soldiers injured but not feeling the pain. Their focus is on supporting their fellow soldiers. It is only after the incident and they are safe, that pain signals are then passed to the brain. Then they notice the pain. Interestingly we can see how our mindset plays a huge role in these factors. For example if a person expects pain relief from a tablet, the pain responsive area of the brain dials down its intensity. Resulting in less pain felt. This is the placebo effect and it is amazing. If a child has injured themselves, I am sure you have witnessed how their tears and anguish subside when their mother hugs, strokes the injured area, talks in a soothe, calming and loving manner. Once again the volume or intensity of pain is dialed down. So once again we see that when we look at our mind and body SOMATICALLY, we can see that we cannot separate them. The one heavily influences the other. We are a sensory organism, collecting, interpreting and acting on data which we encounter. Pain scientists Professor Lorimer Moseley and Professor David Butler from Adelaide, South Australia have discussed the expression “The danger in me (DIM) is greater than the safety in me (SIM).” They have termed this “DIM SIM.” They discuss the subject of pain in detail in their book ‘Explain Pain.’ DIM SIM is highlighting the way we interpret a situation. It has a lot to do with the language in our head. If we link certain pain with a negative association, our pain intensifies. If we have a positive, focused, educated and supportive approach to dealing with pain, the way we interpret pain is very different. Our pain threshold or tolerance is higher. Check out this infographic from the noigroup, Australia and see how DIM SIM can be applied to daily experiences. Are we naturally pessimistic and negative? Do we see things as half empty? Are we naturally inquisitive and willing to adapt and grow with the situation? Are we willing to see a positive lining to a situation? Are we open to the idea of educating our self to create a sense of empowerment and know we can take steps to improve our health and well being? The outlook we develop towards pain and the event will shape the level of pain we experience. If we switch our mindset, we start to understand that pain is a signal which we can dial up or down according to how we have and continue to condition our outlook on events. 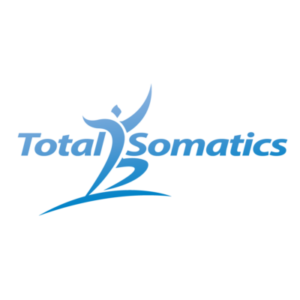 The ‘Mindfulness with Total Somatics’ online programs teach you mindful somatic movements to bring natural movement patterns back into your body. I teach you mindset and mindfulness techniques which can be applied to help deepen your understanding of somatic health and wellness. From previous blogs I have written such as “You are what you think” https://totalsomatics.com/you-are-what-you-think/ I discuss how certain areas of our brain can either support dis-empowering or empowering beliefs, according to what we CHOOSE to filter into our mind. If we continually think and speak in a negative manner, we will see, feel, interpret and perceive life in a depressing manner. Whereas if we look for up building conversation, company, thoughts, words and intention, the way we perceive life and experiences will be very different. This conditioning of our mind changes our neuro and bioplasticity, for the good or detriment of our health and well being. So be very selective about what you entertain in your mind because either way, what we allow to grow and flourish in our mind will have a self fulfilling prophecy. 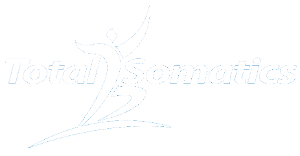 Join my online program today and allow yourself to heighten awareness to your somatic health and well being. Learn skills to educate and empower you with a skill set so you can reduce pain, improve posture, increase mobility and return to the activities you love to do. Week 5 – Mindful In May and beyond!